Obtaining soft, smooth and healthy skin has been not only tough but challenging to achieve. Chemical content in a number of skin care products causes a number of skin problems. 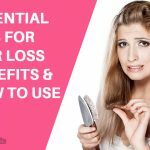 Natural products are now being used to improve hair and skin health naturally without causing any side-effects. Baking soda has recently been highlighted as an important natural product for skin. Baking soda is best known as sodium bicarbonate that comes in white powder and has an alkaline taste. It is found in every region of the country and it is pocket-friendly. Another use of baking soda is that it is also used in kitchen to soften any food. Benefits of baking soda for improving skin health are highlighted in this article. Here we explain in detail some of the effective beauty benefits of baking soda. Baking soda nourishes your skin and for this reason it has been used over decades. Baking soda effectively acts in skin care and it helps to exfoliate and brighten your skin helping improve your skin complexion. Baking soda is natural and affordable product that helps to treat many skin conditions such as acne, pimple, skin infection, and others. Mix both baking soda and water to form the paste. Clean the face skin well, dry it, then apply the paste that we obtain. Leave it to act for 15 minutes, then rinse your face with warm water. Let it dry your face and apply a moisturizer. Mix baking soda and water in equal quantities to form a paste. Apply the paste on your face and leave it for about 3 minutes. Gently massage on the blackheads for 2-3 minutes. Wash off the paste with cold water and apply a mild moisturizer. You can prepare this face scrub easily at home. Mix some honey and baking soda thoroughly. Apply this paste on your face and gently rub in a circular motion. And wash it with cold water. You can repeat this procedure thrice in a week. Honey is great for acne prevention and breakouts as it has natural anti-bacterial properties. Honey also helps to delay aging process and boosts skin complexion naturally. Precautions: Make sure your skin should not get irritated while using the paste. Take Baking soda, lemon juice and raw honey in a bowl and mix them well to form a paste. Apply the paste on face and neck and leave it for 15 minutes. After 15 minutes or when you feeling of skin tightening, use lukewarm towel to remove it. Then, wash face with cold water. This facial pack helps in lighten the scars of acne, dark spots, and other tanned skin. Lemons’ antibacterial and anti fungal features make it a natural alternative for treating acne. It Contains vitamin C and citric acid, and helps in brightening and lightening skin over time. Tip: Your skin will dehydrate, so apply moisturizer after face wash. Mix both baking soda and apple cider vinegar thoroughly. Clean the affected area and apply the mixture on the skin. Leave it to act for 20 minutes and then wash it off with warm water. And then, wash the area with cold water. Let it dry and apply the moisturizer. Repeat this procedure 3 times a week. 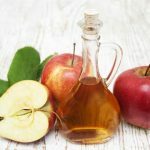 How it works: Apple Cider Vinegar deeply exfoliates the skin. Mix baking soda and lemon juice until form smooth paste. Apply the paste to the dark spots on your skin. Let it act for 3 – 4 minutes, and then wash off your face with warm water. You can do this once a day until you clear dark spots. How it works: Baking soda exfoliates the skin, while the lemon juice lighten the skin. Caution: People with sensitive skin should cautious about this method. If you feel difficulty with this method, opt for other methods. Mix baking soda and water until get a fine paste. Apply the paste and gently massage on dark circles using your fingertips. How it works: This paste works as a face mask to eliminate dark circle and bags under eyes. Tip: You can use this paste to get rid of eye puffiness also. Benefit: Baking soda will helps to improve the blood circulation under the eyes. And it also helps in soothing and lightening the skin. Mix the baking soda and lemon juice to make a smooth paste. Clean your underarms and apply this mixture. Gently massage each underarm for 10 minutes. Then let it wait for another 10 minutes or until it dries out. Rinse the underarms with warm water. Later you can do it 3 to 4 times a week. How it works: The citric acid and Vitamin C helps in cleansing the skin from deep. Baking soda is considered as one of the safest and affordable natural product which can cleanses hair naturally. Mix the baking soda with water in the ratio of 1:3. 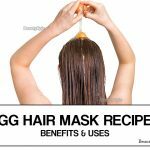 Apply it in wet hair starting from roots to end of hair. Leave it on hair for 10 to 15 mins, and then wash your hair with lukewarm water. How it work: It acts as a scrub for revitalizing hair, especially in case of greasy hair. After shampoo moisturize your hair with conditioner to keep it hydrated. If you have high hair volume, you need to take more baking soda. In case of shoulder-length hair, use 1 spoon baking soda with 6 spoon of water. Repetitions: Repeat this procedure at least 2 times a week. Mix some baking soda with rose water to from a fine paste. Massage your scalp with this paste for few minutes. Do not use a shampoo after this method. How it works: The baking soda act like a scrub on the dandruff. This causes the dandruff to fall off. Baking soda in mix with water can help in hair lightening. Mix Baking soda in lukewarm water to form medium thick paste. It should not be too thin or thick as in both cases it will not give desired result. Apply the paste from roots to ends. If you want it even more lighter, wait for few more minutes before you wash. Follow this procedure once a week. How it work: The baking soda will work on the hair to lower the natural black color to blonde shade. Mix baking soda in warm water to form a smooth paste. Apply it to facial hair and massage it. Dry it and then wash your face. How it works: Baking soda quickly dissolves in hot water and shows its effect for removal of hair. Mix baking soda and lemon juice to get a thick paste. Apply this paste all over your hair strands. Let it act the paste for 5-7 minutes and rinse it off the scalp. How it works: The lemon juice helps to remove hair dye. The consequence is your original hair color would be more prominent now. Tips: Avoid acting this paste on hair for period higher than 5-7 minutes. You can mix an additional teaspoonful of lemon juice in order to dilute the solution further. Add lemon juice and water to the baking soda. Mix 3them well to form a smooth paste. Brush your teeth with this paste for 2 mins. How it work: The paste will remove the plaque of teeth and will remove discolorations. Tips: Stop taking too much acidic food to avoid discoloration. 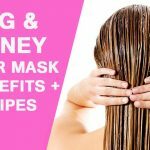 Rinse Your Hair with Apple Cider Vinegar: You Will Be Surprised By The Results!